The New Jersey Democratic Committee said Thursday it was giving $20,000 to charity, an amount previously given to the state party by now convicted Medicare swindler Dr. Salomon Melgen. The move comes days after Melgen’s close friend Sen. Robert Menendez (D-NJ) also donated close to $20,000 from his campaign to charity. It also comes on the heels of Sen. Chuck Schumer's (D-NY) call for "everyone" to give away any donations tied to the convicted Medicare cheat. Melgen was sentenced last month to 17 years in prison for stealing nearly $100 million from Medicare over the years. 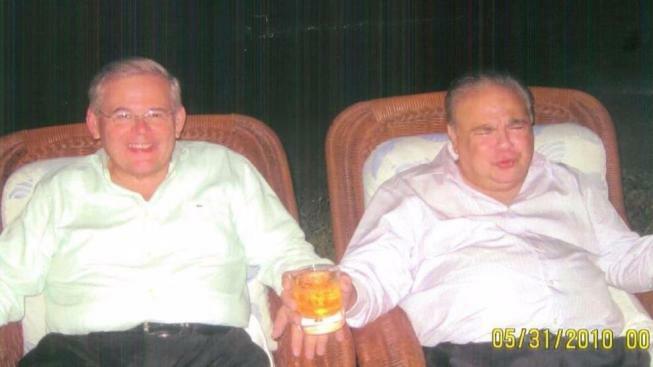 Melgen and Menendez had separate bribery charges against them dropped after a trial ended in a hung jury. Melgen donated more than $1 million dollars to numerous politicians. To date, the Democratic National Committee, Majority PAC linked to former democratic leader Harry Reid, and Florida politicians Debbie Wasserman Schultz (D), Sen. Bill Nelson (D), Ileana Ros Lehtinen (R) and the Iowa State Democratic Party are holding onto the cash they got from Melgen. Watchdog groups said there is no legal requirement that campaigns return money from a donor who later is discovered to be a criminal. But the executive director of Citizens for Responsibility and Ethics in Washington said keeping Melgen’s cash is equivalent to turning a blind eye to one of the biggest Medicare ripoffs in history. “Candidates should be returning that money or turning it over to charity,” said CREW’s Executive Director Noah Bookbinder.